Beis Hamikdash Topics: Meet the Maker: Jbrick Comes to Baltimore! Meet the Maker: Jbrick Comes to Baltimore! It's not that often that I get to see Lego® and the Beis Hamikdash come together (outside of my own house, that is). 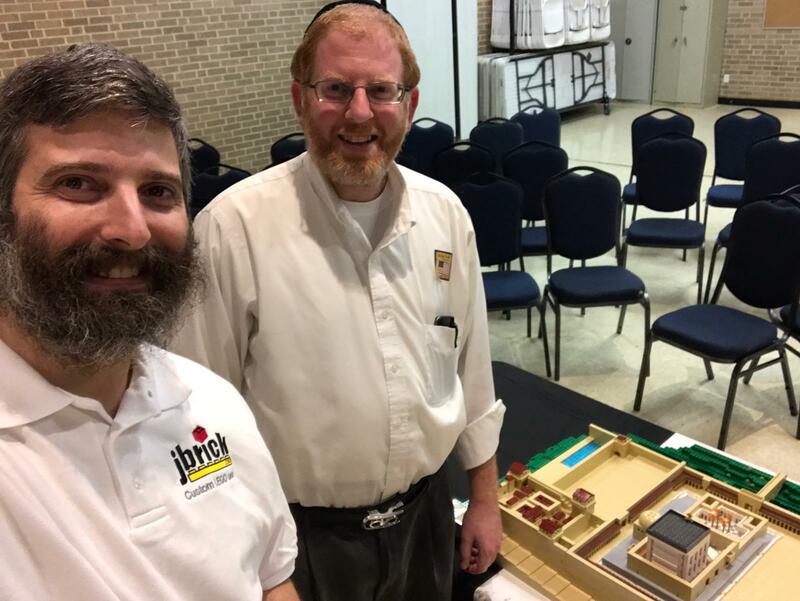 Last week Bnos Yisroel of Baltimore was honored to host Yitzy Kasowitz of Jbrick and his Second Temple Lego® model. I stopped in to meet Mr. Kasowitz and see his impressive model for myself. On Tuesday, November 6, 2018, the entire elementary school, middle school, and high school of Bnos Yisroel were treated to an up-close encounter with the Herodian Temple as it would have looked at the end of the Second Temple era. Yitzy Kasowitz meticulously researched his model using Jewish and archeological sources and then rendered the entire Temple Mount in Lego® bricks at a scale of 1:613. I have more details about the model in this previous post. I would like to wish Yitzy Kasowitz much continued hatzlachah as he brings the light of the Temple to the world in a very unique way. IY"H we should all merit to see the building of the Third Beis Hamikdash speedily in our days. Lego® is a trademark of the LEGO Group of companies which does not sponsor, authorize, or endorse this site OR Jbrick.